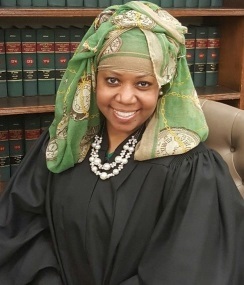 Welcome to the website of the Housing Part of the Civil Court of the City of New York, one of the busiest courts in the world. The Housing Part mostly handles residential landlord and tenant cases. Commercial landlord and tenant cases are also filed in the Housing Clerk’s Office, but decisions and judgments in these types of cases are signed by a Civil Court Judge and not a Housing Court Judge. Ejectment actions are handled on the civil side of the Court. Each year, over 300,000 residential cases are filed in the Housing Part of the Civil Court, generally referred to as the Housing Court. 50 Housing Judges are appointed to serve in the court. The Judges assigned to the Housing Part and over 1,000 non-judicial employees work together to serve the people of New York City. Our court is where everyday people come to resolve their everyday civil legal problems. Whether you are a landlord or a tenant, the Civil Court is dedicated to providing access to fair and efficient justice. We hope our website will provide you with information you need concerning the Housing Part of the Civil Court. We continue to strive to ensure that the Civil Court is a court for all the people of New York City.